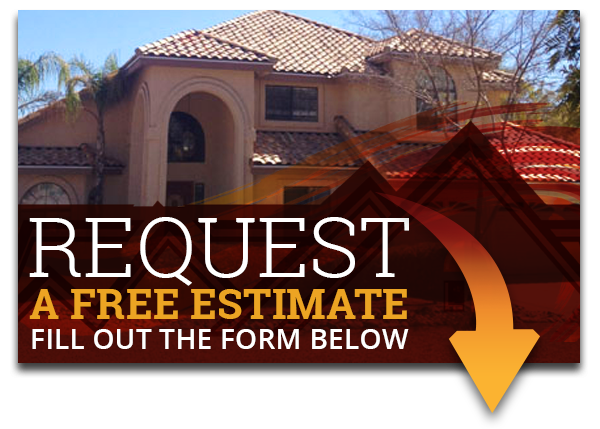 Express Roofing is your source for Eagle Roofing Products for your residential or commercial buildings in Chandler, Gilbert, Scottsdale, Tempe, and the surrounding Arizona areas. Eagle Roofing offers multiple styles of roofing material that are a great alternative to wood, asphalt, slate, and stone coated metal roofing. 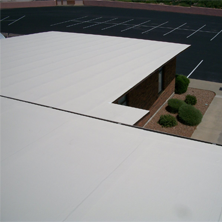 At Express Roofing, we’re proud to offer Arizona the best Eagle Roofing Products. Our roofing team has years of experience installing Eagle Roofing to residential and commercial building throughout Arizona. When you want Eagle Roofing, be sure to contact the professionals who have the required experience and knowledge, as well as a relationship with the manufacturers. Your home will most likely be one of the biggest investments you make. As a homeowner, you’ll want your large investment to remain useful over a long period of time and you’ll want it to provide value to your home when the you’re ready to sell your home. Although there are many ways to add value to your home and increase curb appeal — while providing durability for a long period of time — one of the most common ways is roofing. When you choose Eagle Roofing, you’re choosing some of the most durable, modern, and affordable roofing that will help increase the curb appeal of your Mesa home! 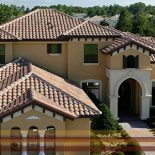 Eagle’s roofing tile is the great choice for homeowners, whether your roofing interests are in durability, style selection, and energy efficiency. Eagle Roofing Products offers multiple American-made concrete roof tile options. Check out some of the their amazing styles of roofing that are affordable, durable, and energy efficient. A common style of concrete tile is High Barrel Tiles, also known as high profile S-Tiles. These semi-cylindrical concrete tiles are usually the most recognized of all concrete tiles. Eagle Roofings Capistrano high barrel profile are beautiful and enduring, creating that authentic Spanish look. 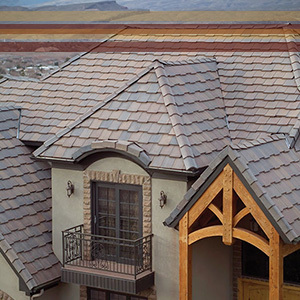 Capistrano profile comes in a vast array of colors from cool grays and exhilarating greens to warm earth tones and admirable blends that recreate the classic look of real clay tiles. Many styles of Capistrano tiles are energy efficient and can help save homeowners money on their energy bills. This style pairs well with homes that have stone, stucco, or brick siding. You can commonly find this style on many commercial, residential, institutional, and military buildings throughout the nation. A more modern version of High Barrel Tiles are medium or double roll tiles. These concrete roof tiles have a medium profile shape and pay homage to the classic Mediterranean look that can be found on many rooftops of Greece, Italy, and France. Malibu is Eagle Roofing’s medium roof tiles that offer gentle curves that easily compliment modern homes and commercial buildings. Malibu comes in distinctive colors that have a beautiful and breathtaking appearance. Many of these tiles are Energy Star® and Cool Roof rated products that save customers money and energy. Bel Air, Ponderosa, and more! If your concrete roofing is lacking the profile of rolls or barrels then it is most likely has flat tiles. Flat Tiles are popular for their crisp and clean appearance that complements modern and traditional homes. 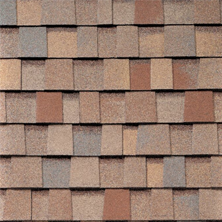 Eagle Roofing has multiple styles including: Bel Air, Double Eagle Bel Air, Ponderosa, Double Eagle Ponderosa, Estate, Golden Eagle and Tapered Slate Artisan. Depending on the look you desire, Eagle Roofing tiles can emulate the style and texture of natural materials like clay, slate, and wood. Additionally, it is a more affordable alternative to other styles. Eagle Roofing flat concrete tile profiles bring beauty, strength, and an enhanced curb appeal. No matter what climate your residential or commercial building is, Eagle’s flat tiles act as an excellent insulator with less heat transfer, helping it stay cool in the heat and warm in the cold. All of their flat tiles come in a variety of beautiful and eye-catching colors and are energy efficient, helping you save money on your next utility bill. 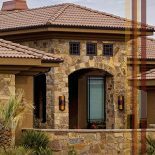 If you want roofing that offers affordability, durability, and style, than Eagle Roofing is the smart choice for your Mesa home. 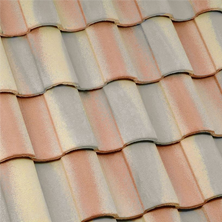 At Express Roofing, we carry Eagle Roofing and its extensive collection of concrete roofing tiles. Whether you’re ready to increase your home’s curb appeal or are you’re unsure if Eagle Roofing right for your residential or commercial building, contact our team of roofing professional!